Stress is basically a complex psychological process, it may develop due to different factors, like if you have too much work or tasks pending, you have financial burdens, you do not get what you desire, when your demands are more than your resources, bad relationship experience, expectations not fulfilled, everything going against you, low or no social engagement, no exercise and no time management. These are some of the situations that can induce panic, fear, anxiety and stress. Stress if sustains can lead to depression and then severe psychological and social disorders. In this article i will share some of the daily life things and positive approaches to cope with stress, but lets first understand a little bit more. Stress negatively affects the body processes, it increases mind load, reduces metabolism, weakens the immune system and make us more vulnerable to other diseases and disorders. Continuous or chronic stress may result in allergic disorders like asthma, cold and flu. 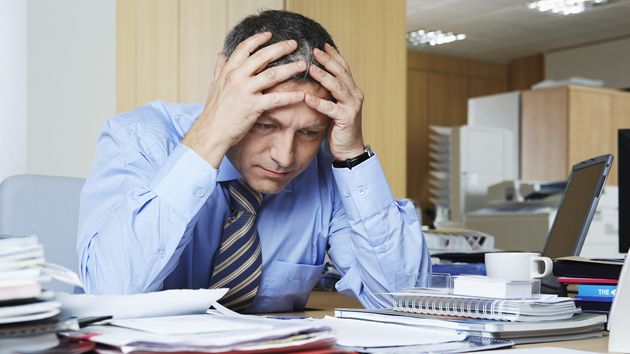 Stress can give you migraines also may induce stomach acidity and ulcers, it can result in heart disease. Regular stress may result in depression, also due to weak immune system a person suffering from stress may develop cancer. So the health risks involved with chronic stress are very serious. To live a quality life one should maintain a balance between everything and try to remain calm and manage everything with a smiling face. Although everyone faces daily stress in his/her daily routines. Always try to get out of the monotonous routines and do something different, this will not allow stress to get over your mind and nerves. Exercise: walking, jogging, exercising, gym work outs, modern day stretches techniques not only give you fresh air, they effectively help you avoid stress, Just select 30 minutes daily for exercise and do it regularly, do not skip exercise unless it is impossible, you will start seeing positive changes in your health, feelings and will become more active, full of energy, confident and positive. Physical activity is generally very important for the well being of body and mind, so do not be a robot or spend a machinist lifestyle, be active it will help you stay fit all life long. Socialize: When you are busy in you jobs, business or any other hectic routines, try to find some time for your friends and family. Try to arrange some get together, a party, a picnic or a hangout often, this will disengage you from the stressed environment you usually suffer from and will relieve your stress levels. More social you get, more confident you will become, when you listen to others and share your feelings the negative things inside you burns out. so keep meeting friends often, it surely helps. Positive Attitude: Avoid negative thinking and attitude, always take your problems as a challenge and try to manage them positively, negativity will only make everything worse and the task will become even harder to do. Positivity will make everything easy and creative whereas negativity will give you stress. Lifestyle Changes: To avoid stress try to live as natural as possible, give yourself some time, find time to arrange your stuff and groom yourself, adopt a hobby like gardening or keep some cute little pets, feed them, love them and play with them, it will boost your confidence and relieve your stress. Time Management: If you are a very busy person with long hours and hectic work routines, try to manage your time, one way traffic will not work, same monotonous routines will give you stress and make you sick, so try to create a balance and give time to your friends and family, give time to things you like, go out, spend time with people you like and you feel more comfortable with, avoid things and people you do not like, if you can manage time you can surely manage stress. To avoid stress and live a balanced healthy life, apply some of the tips shared above, you are responsible for your health so you have to take care of it, stay away from stress always. Have a great day, Keep Smiling. Thank you, im glad that you liked it.